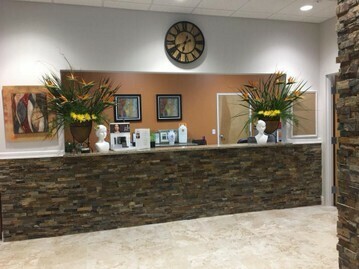 Skin Dermatology is a trusted dermatologist office in Orange City or Palm Coast. Our skilled, experienced skin specialists treat a wide range of skin, hair, and nail problems. Doctor Wheeler is a member of the American Academy of Dermatology, the Florida Society of Dermatology and Dermatologic Surgery. He specializes in Mohs micrographic surgery and is a member of the American Society for Mohs Surgery. Our entire team has a true commitment to our patients and to ensuring that each one receives an accurate medical diagnosis, and the proper treatment for their specific conditions. For more than 20 years, we have worked hard to ensure that all of our patients are seen in a timely manner, and to correctly diagnose and treat a wide range of conditions from the most benign skin irritants to skin cancer. By quickly diagnosing and treating your issues, we make recovery a faster, less intense process and ensure that healing comes quickly. Whether you have scars from acne, need psoriasis scalp treatment, or want general skin care assistance, we can help you. learn more about your local Dermatologist and Skin Specialist.